We knew going into it that 2017 would be an eventful year, and a pivotal one for sustainability, equity, and livability. Here are some of the highlights, breakdowns, and breakthroughs which shaped San Francisco’s livability in 2017. 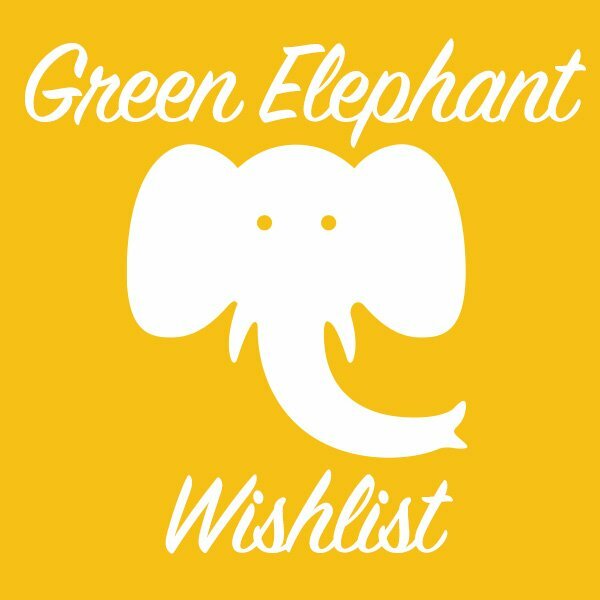 Donald Trump and the Republican congress led an unprecedented assault on federal environmental and consumer protections, clean energy, health care, immigrants rights, sustainable transportation, and other values San Franciscans hold dear. Trump declared he would withdraw from the Paris Climate Accord, which would make the US the only country in the world to do so. Many of Trump’s initiatives were blocked or nullified by the courts. Others, like his effort to increase the mining and use of dirty fossil fuels, face court challenges as well as powerful market and technological forces, and resistance from states and local communities. Despite Trump’s efforts to drill, mine, and burn more fossil fuels, 2017 was a great year for clean energy. Worldwide consumption of coal declined by a record amount in 2016. Dozens of planned coal power plants were cancelled or delayed, and existing plants closed or announced their closure. Power generated by renewable sources, chiefly wind and solar, increased faster than ever, and faster than any other power sources. The cost of electricity generated by wind and solar continues to drop relative to coal and other fossil fuels. The shift from coal to renewables helped stop annual global greenhouse gas emissions from growing for the third year in a row. California’s clean energy mandates contributed to the decline in coal use in California, and since California is the largest electricity consumer in the western US, in neighboring states as well. In 2017, California’s growing greenhouse gas emissions from transportation surpassed emissions from electricity generation for the first time, making transportation – mostly automobiles – the state’s biggest single contributor to climate change. The state legislature approved a gasoline tax increase to reinvest in California’s roads, highways, transit, cycling, and walking, which went into effect on November 1. On December 14, the California Air Resources Board adopted its 2030 plan to reduce California’s greenhouse gas emissions 40% below 1990 levels within the next 13 years. The plan relies on expanding renewable power sources and electric vehicles, but also walkable and bikeable communities, expanding and electrifying public transit and intercity rail, focusing housing and jobs near transit, and capturing carbon by restoring the states’ soils, forests, wetlands, and grasslands. 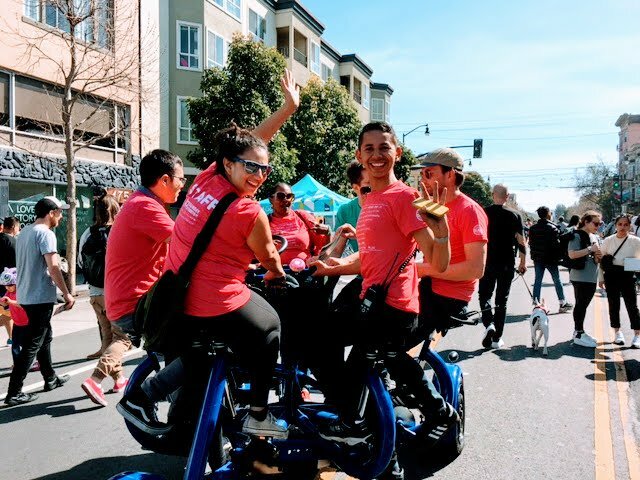 Livable City organized eight Sunday Streets events in San Francisco neighborhoods, with more activities and programs, and deeper collaboration with communities along the routes. We started planning for Sunday Streets’ 10th Anniversary in 2018, with more events and new routes. We kicked off a Play Streets program in partnership with the City, bringing active recreation and play to low-income communities with limited open space and recreation opportunities. We organized 16 Play Streets in 2017, and are planning 40 in 2018. SF housing by the numbers. San Francisco added 5,250 new housing units in 2016, a 70% increase from 2015 and a it a record year for housing production. 4,895 were in new buildings, and 359 were created in existing buildings. 800 new units were permanently affordable, 16% of the total and a 52% increase from 2015. 4,050 units were approved for construction in 2016, mostly in large projects of 20 or more units. According to various rental listing websites, San Francisco apartment rents didn’t increase much in 2017, but remained stubbornly high and unaffordable to many, at $35oo or more per month on average. Accessory Dwelling Units. In 2016, San Francisco legalized accessory dwelling units – new units within existing buildings – citywide. The state legislature approved two bills allowing one ADU per residential lot statewide, which went into effect on January 1. The state ADU requirements were more permissive than San Francisco law in some regards, and San Francisco’s were more permissive in others. Early this year the Board of Supes reconciled the City law with the new state law, and Livable City successfully advocated that the City keep the more permissive provisions of San Francisco law as it incorporated the new state standards. As of September 2017, San Francisco had received applications for over a thousand new rent-stabilized ADUs, and awarded permits for over 500. Affordable housing. In 2016, the Board of Supervisors enacted two ordinances aimed at increasing the percentage of permanently affordable housing built in the City. In July, the Board amended the City’s Inclusionary Affordable Housing Program to increased the percentage of affordable units required in new projects to 18% of new units in rental projects, and 20% of new units in for-sale projects. The required units must be at a range of affordability, from low-income to moderate- and middle-income. Developers still have the option of building units off-site, or paying a fee equivalent to 33% of units. The Board also approved Home-SF program, which grants height and other bonuses to projects which provide 30% or more permanently affordable units on-site. Both programs are complex, and were overlaid onto San Francisco’s notoriously complicated zoning controls, with many ‘pipeline’ projects grandfathered in under the prior rules, so it’s not yet clear what the effects of these programs will be on the City’s affordable and overall housing production. San Francisco’s state legislators sponsored bills to increase state support for affordable housing. Assemblymember David Chiu’s SB 2 will fund affordable housing and homeless programs through a new fee on real estate transactions, and Senator Scott Wiener’s SB 35 will require streamined approval of infill projects that provide a certain percentage of affordable housing on-site. Arts and nonprofits. San Francisco’s high rents, competition for space, and complex regulations make it an increasingly challenging place for artists and art spaces, nonprofits, and small businesses to survive and thrive. Livable City released our arts strategy late in 2016, and this year we developed several legislative proposals to make San Francisco’s zoning more arts- and nonprofit-friendly. Livable City’s work complements that of the Community Arts Stabilization Trust, which set a goal of securing 100,000 square feet of permanent, nonprofit space for arts in San Francisco and Oakland. The community-initiated project to preserve the historic Geneva Car Barn and Powerhouse near Balboa Park Station and transform it into San Francisco’s newest public arts center moved forward in 2017, as CAST and the City secured funding for the first phase of construction, and the City selected Performing Arts Workshop to activate the space once it opens. Small business. Thriving commercial corridors make San Francisco a more livable and walkable place, but San Francisco’s approach to its neighborhood-serving retail districts remains unstrategic, largely uncoordinated, and sometimes contradictory. Livable City also worked with community and merchant groups on citywide and neighborhood-specific proposals to preserve and foster neighborhood-serving businesses, and diverse and walkable commercial districts. We also expanded Sunday Streets’ role in supporting neighborhood businesses. SF Transportation by the numbers. The SF County Transportation Authority released a survey of San Franciscans’ travel behavior, which found the percentage of trips by auto declined from 50% to 43% from 2013 and 2o17, while TNC (Uber and Lyft) trips increased from 1% to 4%, and the percentage of transit (26%), walking (25%), and cycling (2%) trips remained steady. Caltrain’s great leap forward. The project of transforming Caltrain from a diesel commuter rail to an electrified regional metro system connecting Downtown San Francisco to the peninsula celebrated two important milestones in 2017. Caltrain electrification secured full funding early in the year, and broke ground in June. Plans to restore passsenger rail service over the Dumbarton Rail Bridge, which connects the peninsula to the East Bay, were revived in 2017, and a study of alternatives is underway. The Transbay Terminal’s first phase, which includes an elevated bus staion and underground train box for future rail service, is nearing completion, and buses will start using the terminal in 2018. The second phase, which includes an underground extension of Caltrain to the Transbay Terminal, is not fully funded, and has no definite timeline. Transbay buses are one of the best near-term solutions to overcrowding on BART, and LC is advocating for greatly expanded Transbay bus service in 2018, including dedicated lanes on the Bay Bridge and the bridge approaches. Prioritizing transit. Construction of the bus rapid transit project on Van Ness Avenue ramped up in 2017, and in July SFMTA approved plans for bus rapid transit on Geary. Transit-priority and safety projects on Mission Street and Taraval Avenue were approved in 2016 over rancorous objections. Both projects were modified in 2017 – two right-turn restrictions on Mission were removed in August, and in December SFMTA agreed to install five passenger-boarding islands on Taraval which had been omitted from the initial project to placate those opposed to removing parking. The City’s Better Market Street project continues to progress very slowly. In 2017, the City released its preferred plan for a car-free Market Street between Van Ness and The Embarcadero, with separated bicycle paths and improvements to transit performance and accessibility. Curbing the cluster. The proliferation of TNCs, or rideshare as Lyft and Uber prefer to be called, emerged as one of the biggest transportation dilemmas of 2017. Lyft and Uber market themselves as alternatives to private car ownership and as ‘last mile’ transportation providers which complement public transit. However research out of New York suggests that TNCs have been worsening traffic congestion in the city. In San Francisco, the lack of regulation, enforcement, and designated loading zones has put TNCs in conflict with the safety and mobilty of people who walk, cycle, and take public transit. Livable City’s “Curbing the Cluster” project explored the potential for ‘geo-fencing’ to reduce conflicts between TNCs and sustainable modes of transportation. Geo-fencing involves designating certain curbs as prohibited in the TNC app, directing passengers and drivers to nearby loading zones. Our pilot with Lyft at the 4th and King Caltrain Station showed that the geo-fencing concentrated passenger pick-ups in the existing loading zone, and reduced pick-ups on prohibited curbs, including bus stops. Wider use of geo-fencing, together with designating more loading zones in popular areas, could do much to reduce conflicts between rideshare and transit, cyclists, and pedestrians. However a bigger question is whether San Francisco can find a way to make rideshare a complement to a sustainable transportation strategy which centers on public transit, walking, cycling, and complete and compact neighborhoods, or whether rideshare will be allowed to compete with sustainable transportation, worsening congestion, pollution, street safety, and inequity. Parking. Research for the City’s Transportation Demand Management (TDM) ordinance, approved early in 2017, found that reducing auto parking, and charging for parking, were the most effective ways to reduce auto congestion and encourage sustainable transportation choices. In December SFMTA extended its SFpark program’s demand-responsive parking pricing to all metered spaces. SFpark was implemented in six neighborhoods in 2011, and has proved effective in reducing traffic congestion while increasing the availability of street parking. Minimum parking requirements have been demonstrated to increase traffic, housing costs, and pollution, and San Francisco’s TDM and Home-SF ordinances permit case-by-case reductions in minimum parking requirements. Livable City proposes eliminating minimum parking requirements altogether, and lowering the amount of parking permitted in congested, high-density neighborhoods. In 2017, minimum parking requirements were eliminated in the Polk Street and Pacific Avenue neighborhood commercial districts, and additional restrictions on excess parking were approved in the ‘Hub’ around Van Ness and Market. Shared mobility. We were sad to see local nonprofit City Car Share disband at the end of 2016, but San Franciscans’ shared, pollution-free mobility options generally increased in 2017. Ford GoBike‘s network of bike-share stations expanded into neighborhoods outside the Downtown core, with plans for further expansion in 2018. Scoot provides a network of electric scooters, while Jump offers shared electric bikes and Ofo plans to offer dockless bike-share. SFMTA is permitting some limited pilots while working to devise a permit system and standards for on-street bike, scooter- and car-sharing. Several years ago Livable City worked to amend San Francisco’s Planning Code to permit car-sharing in any existing parking space citywide, but current law prohibits off-street bike-share or scooter-share across much of the City. We support broadening the car-share provisions of the Planning Code to include shared bikes, scooters. Supervisor Breed introduced legislation to permit off-street scooter-share in the same way we permit car-share, but that legislation hasn’t moved forward since June. Street trees. Voters approved Proposition E in 2016, which dedicated funding to maintaining the city’s street trees. This year the Department of Public Works completed a survey of street trees in San Francisco, and devised a plan for maintaining them. Prop E does not include funding for planting new trees, but Friends of the Urban Forest and other community groups have sustained their tree-planting programs. The Waterfront. The Port’s Waterfront Land Use Plan wrapped up its second phase in December. Phase three will develop detailed plans for development and open space along The Embarcadero, including reuse of the Historic piers. Livable City is advocating for expanded open spaces and public access along The Embarcadero and and the City’s Central and Southern Waterfront, and continuous bicycle and pedestrian paths along the Waterfront from the Golden Gate Bridge to the City’s southern limit. The City’s Embarcadero Improvement Project, which is studying alternatives for a dedicated bicycle lane and pedestrian improvements along The Embarcadero, made little progress in 2017. City Attorney Dennis Herrera, for defending progressive city legislation like sanctuary laws, tenant protections, and transportation reform, and for vigorous and pro-active enforcement of health, safety, environmental, and consumer protections. Chinatown Community Development Center, for leadership in developing and protecting affordable housing, and championing green and safe streets through the Broadway Streetscape and Chinatown Alleyways projects. Grassroots biodiversity advocates, for protecting and restoring San Francisco’s amazing biodiversity: Literacy For Environmental Justice for habitat restoration, environmental education, and the eco-center at Heron’s Head Park; Nature in the City for environmental education and establishing wildlife corridors through the City; and The Wild Oyster Project for bringing San Francisco Bay’s native Olympia Oyster back from the brink of local extinction. We’re looking forward to 2018. We’ll be celebrating the tenth anniversary of Sunday Streets with more routes in more neighborhoods, and expanding Play Streets. We’ll solidify projects to protect and foster housing affordability, sustainable transportation, green streets and open spaces, arts and neighborhood-serving small businesses, and environmental protection, and make progress on new initiatives in these and other areas. Livable City has grown into one of the most effective advocates and program providers in the City, and has helped to transform the City in many positive ways, great and small. The programs we provide, like Sunday Streets and Play Streets, directly serve tens of thousands of San Franciscans each year, and the policy and advocacy work we do is transforming the City for all of us. Yet we have a way to go before San Francisco truly lives up to its cherished values. We need your continued support to keep transforming our City into a more livable place for all. We ask you to make a tax-deductible donation to Livable City this year to help sustain our work and progress towards livability. You can contribute using our secure donation page. You can also contribute as a volunteer, or we may be able to assist with livability projects in your community; let us know!